Dana Goia. Photo by Lynda Koolish. How does the Catholic vision differ from other traditions of Christianity? To answer that question would require a shelf of books. There are so many Christian traditions. But let me mention one aspect of Catholicism that affects the writer. All Christian denominations believe in original sin and humanity’s fallen nature, but Catholicism emphasizes the slow and difficult nature of the personal struggle toward salvation. The notion of suddenly being “saved” feels alien to a Catholic who sees life as a pilgrimage in which each step forward can easily be followed by a fall backward from grace. For that reason the great Catholic writes characteristically write about the experience of sinners rather than saints, often people of great spiritual capacity who have lost their way. O’Connor’s mass-murderer the Misfit is one example, as is Greene’s nameless whiskey priest. 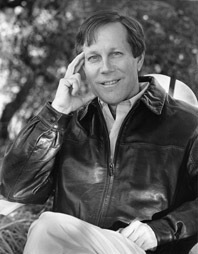 -Interview with Dana Gioia, Image Journal. Gioia is a Catholic and was the Chairman of the National Endowment of the Arts. In the follow-up question he adds this insightful comment: “By comparison, American Protestant writing has often tried to present good people doing good things. Occasionally a masterpiece such as Marilynne Robinson’s Gilead appears, but it is a harder task to realize.” Gioia is thinking about poetry and prose but I’d wager his critique can be applied to other art forms. While he’s correct to point out the theological differences between Protestants and Catholics I’m not sure Protestantism is devoid of the theology that can lead to great art. But then he does level his critique towards American protestants and we, it must be admitted, have not always made the best art.